Who knows what life preserves for us? A pocket novel about a story of a Lonely Heart, Kusum from Kolkata in the 90's. Living in a hypocritical society which has many loops that we need to fill up, remind us, living in the Stone Age. Shame to such society where biological instincts criticized as sin. Do not judge a book with it's no. of pages. Writers, Santosh Avvannavar, and Dr. Shayan Haq both worked hard to give a shape to the story. Carefully written, simple language and thought provoking. Read the book within few minutes but it whelms me to think about the plot again and again. Broke me, what a person will do in a realistic situation alike? The unspeakable truth that twisted our mind for the centuries. Will India change? Will our society justify things logical rather blinded by old faiths? We are a new generation and if we don't start making changes perhaps the society will never stop its snail walk. I suggest, buy and read the book. It worth reading new thoughts to grow up with. Thanks #SantoshAvvannavar for sending me your #book for #review. Today I recieved the #novel from Santosh the writer of the novel #She:EklaCholoRe. 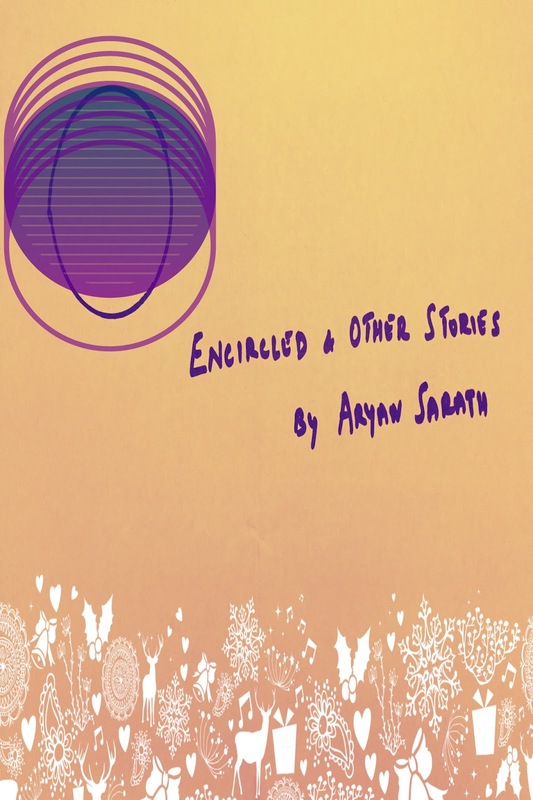 Last weekend I was lucky that I read Aryan Sarath's new anthology of six stories that touched my heart. 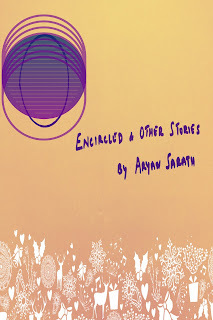 "Encircled and Other Stories" is a book where I got a glimpse of the modern diabolical society. To my utter experience about the time, crimes are committing every minute. Aryan did a careful job by highlighting some of them happening in every city. The truth is those stories are happening and Sarath able to put them into words and express his mind. When I was reading his stories I felt how deeply he thought about the characters and the plots. I like stories having emotional human touch. I think, it's very hard to express our mind, many writers write but very few can express their emotions. I respect Sarath's stories, "Bhavna - An Untold Story", "50:50 Love Story", "I just ruined your life" etc. His words are like the phoenix, long-lived with reality. It's a promising work and Sarath is a professional writer there is no doubt about it. Impact of Jobless Situation Ruins Good Life. Everything has an impact in our life. Especially daily work controls our behavior and patience. In December 2014, when I left my job I had two offer letters in my hand but when I resigned and went to join the new companies, in both places accidentally they were suffering from sudden recession and canceled their recruiting lists. I did not have the stomach to digest that disaster. The irony is I became frustrated because I was jobless, friendless and I was unable to tell the same truth to my parents. No matter what it was the time I suffered a lot of things that I lost. I initially thought it will not have an impact on my life and soon I will get a new job. Alas! I tried three months given dozens of interviews but I did not get my profile back. I got jobs which were less paid than earlier and not related to the field I belong. At the same time, my parents were come to visit me and came to know that my situation is tight. What should I explain them? I was unable to get into a calculation. After a week, my parents left and they told me that ask if any help I require. Six months past I was totally banished into my exile. My bank accounts were almost empty. I had some money left to buy the tickets back to my native. The recession had such a delicate impact in my life that I lost my friends, love, and healthy food habits too. In the tension of survival, I become unfit and literally paralyzed. What should I do now? Still I have no job and giving further interviews which become a nightmare of rejection. In between one of my friends asked me to send my CV if possible, he will request a position to the HR at his current company that he is working. I sent my CV and given the telephonic round of interview, the HR told me that he was interested in my profile. I saw a positive hope. But at the end HR had mentioned that recently they recruited content marketing team and there is no vacancy in their company right now. But soon if anyone left the team then he will remember my name. He asked me to keep in touch and contact him after two months. Well, two months after when I called him, first he was unable to recognize my name, that's okay he may have been forgotten in two months, so I reminded him. He told me, he is sorry that nobody left the company in between and he cannot help me. So all hope lost. Still I cannot believe that I am jobless!!! Now it's more than a year which does not have any good impact in my life. Music is a true friend in my life! Music is a true friend in our life, everyone agrees with this point. No matter what music, in what tune, what language and what instruments... simply everybody loves music. Our tastes and listening behaviour is different but they are music at the end. In my family we have the variety of music lovers, one is the true music lover, one is Bengali music lover, one is Hard Rock music lover, one is an instrument music lover and my mother she loves singing herself. These are only some varieties but like so many genres of music we are all in like like genres and nodes. Single harmony of rhythm flowing everywhere. Some of my friends are core Bollywood music lover, some of them are Metal music. Sometimes at the classroom, park and playground the debates which genre is best. But is that they truly likes music, I felt no. A true music lover should not be judged by a particular type of genre listener they should listen to all types and find out what is his taste in listening. Who know you will fall in love with an alien music like Arab, Spanish or Nordic but maybe you won't understand it's lyrics. You may be surprised to hear that if you don't understand the language then how you can like such music. But I met many music lovers who actually do love music they don't understand it's lyric. Mr. Kulkarni, a librarian listen to Pina Bausch and Rammstein but he is a true-hearted Indian. Mrs. Joti, fashion designer listen to harp instruments and she often plays the piano. Sidhartha Roy, an M.B.A student listen to African witchcraft songs and he finds the truth through it. I respect people and their individual taste in music. I don't judge what they are listening but often people debate our Hindi songs are best, our Bengali songs are great, Our Tamil songs are top. My question is, "what is our and their in music? Music has no boundaries, music is a true love, the true friend of us. We should not mark which one is good and which one is not. Let it leave to the listener and their choice. All music are respected and there are good music and bad music too. But a true listener chooses his/her music as per their true taste in music. I love music that helps me wake up in the morning, then give me the energy to start my day. I love music that helps me to reduce city noise and keep in myself during the walk in the street. I love music which I can share with friends and they love them too. I feel music with love, sadness, smile and tears. The ultimate happiness comes in our life when we can feel true nodes of music and relate them. Every music has an enchantment and ecstasy all we need to choose what we do like? Fantastico is a word I highly impressed about today's online Smartphone games. Online games had been developed long back in early 90's. I can remember games like Poker, Casino, Chess, and many more. But there was less virtual space at that time and the real fantastico gaming experience was waiting to take shape. In the year 2000, I got games like Anarchy Online, a fantastico roleplay game. Then Rune Scape by Jagex, Dark Age of Camelot, Ultima Online 2 and many notable ones. There was a huge demand PSP devices and hand hold small gaming devices till 2005. Because we did not have Smartphones that time. Then I can remember in back to 2002 Final Fantasy XI by Square-Enix was the first fantastico game experience connected to the different platforms using a single set of servers. At the same time, Sony released PlayStation 2 console worldwide which connects through Wifi high-speed internet servers to play real time online game any part of the world. My first gaming console was not that great. I had a local gamepad and which does not support most of those games. Ubisoft developed many fantastico User interface (UI) designed online games. I can still have in my mind the game called Shadowbane. Then there came XBox360 devices and high graphics UI games. All those games are more than valuable collection for any game lover. Now one thing in online game lags is when people get a new interesting game they stop playing the old games. Because time does not allow us to play constantly many games at the same time. 2010, the beginning of the golden age of today's online gaming market. Today I guess no one buys handhold small PSP devices anymore. Smartphones and tablets are today's ultimate online gaming weapons. The day I purchased my first tablet I had no idea that I bought an addictive gaming gadget. When I downloaded games like Angry Bird, Subway Surfers, Temple Run, Candy Crush Saga and more.. Yes, I was under my control. Then I found PvP gaming experience like Injustice, Contest of Champions, Future Fights and WWE Immortals. I just cannot say how much these games mean to the players online. Isn't that a fantastico experience of gaming? The epic battles, story games are most likely a living comics book reading experience and when there are live quests, alliance gaming features, leadership and help online friends in the game. All these experiences are real time fantastico experience. I really like play contests together with my friends in a game, earn points for them, help them to complete a quest, chat with all team members, invite them for a private meeting, plan game strategy and win the battle realms. Plan this weekend for a free fantastico experince of online gaming adventure. All the best!!! Art cannot draw the lines of reality in human life, but an artist can reflect light upon the society that stand still in the dark. Director, Post-Production Editor, Cinematographer Started "The Eye Of A Storm Production" in 2008. Interested in projecting Short Films, Indie-Rock Videos, Documentary Films and Ad Films. I love to Paint, Write Poems, Photography and Adventure Sports (Trekking, Hiking, Para-Sailing & Kayaking) as a hobbyist. I traveled most part of my country and stayed with different people and cultures. *** I am a kind of person who believe "a creative cannot stop until death".